Imagine living in a world where depression is not regarded as a disease, but as Satan trying to steal your soul. Imagine turning to your priest. He counsels you to take the Cross and travel thousands of miles to the Holy Land to kill people so you can be free of Satan forever. Imagine you believe this so fervently that none of the rational arguments offered by your parents, your friends or your beloved persuade you otherwise. The journey costs everything except the one thing you hoped to lose -- your life. This is that story. 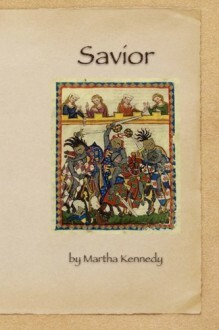 Set in the world of the thirteenth century with its music, constant warfare and always-present God, fate takes Rudolf and his adventure-seeking brother, Conrad, from their home in the Albis Mountains near Zürich, to one of the final battles of the Crusades - the Battle of La Forbie.Kennedy's newest novel, The Brothers Path, is a loos sequel to Savior. It relates the experiences of the same family three hundred years later.